The Gold Set has six of President Obama's best speeches. President Obama's Inaugral Address, "Our economy is badly weakened, a consequence of greed and irresponsibility on the part of some, but also our collective failure to make hard choices and prepare the nation for a new age. Homes have been lost, jobs shed. The Selma Speech, "And please take time to learn the stories of this day, of those who stood for justice at great cost." The Words Speech, "Don’t tell me words don’t matter. I have a dream – just words. We have nothing to fear but fear itself – just words, just speeches". The Yes We Can Speech, and the Nomination Speech where he slammed Bush/McCain. 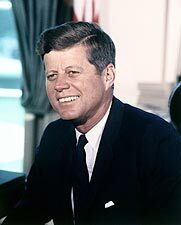 The Silver set contains five of Kennedy's best speeches: Inaugural Address, Berlin, Cuba, Alabama and Moon Speeches. His most famous speech was his Inaugural Address, with the words "And so, my fellow Americans: ask not what your country can do for you—ask what you can do for your country." The Berlin Speech "I take pride in the words "Ich bin ein Berliner!" The Cuban Missile Crises Speech with the words "To halt this offensive buildup a strict quarantine on all offensive military equipment under shipment to Cuba is being initiated." The Alabama Civil Rights speech and finally the Moon Speech with "We choose to go to the moon". The Gettysburg Address and The Second Inaugural Address are the two Lincoln speeches in the Bronze set. 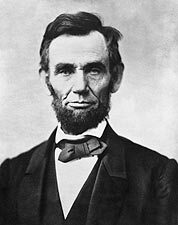 The Gettysburg Address is considered by many to be the best speech of all American presidents!. The Second Inaugural Address is a theologically intense speech, widely acknowledged as one of the most remarkable documents in American history.